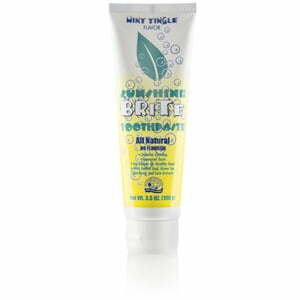 Nature’s Sunshine Sunshine Brite Toothpaste encourages proper dental health by acting as a stain-remover and polish. The all-natural ingredients promote healthy gums and don’t damage tooth enamel. The formula includes hydrated silica powder, calcium carbonate, and sodium bicarbonate in addition to the herbs aloe vera gel, golden seal, myrrh, Icelandic moss, astragalus, green tea, and elderberry, all of which offer dental support. 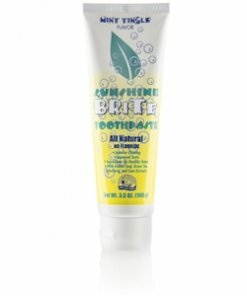 Sunshine Brite does not use fluoride, an ingredient in many toothpastes that can prove harmful to children. 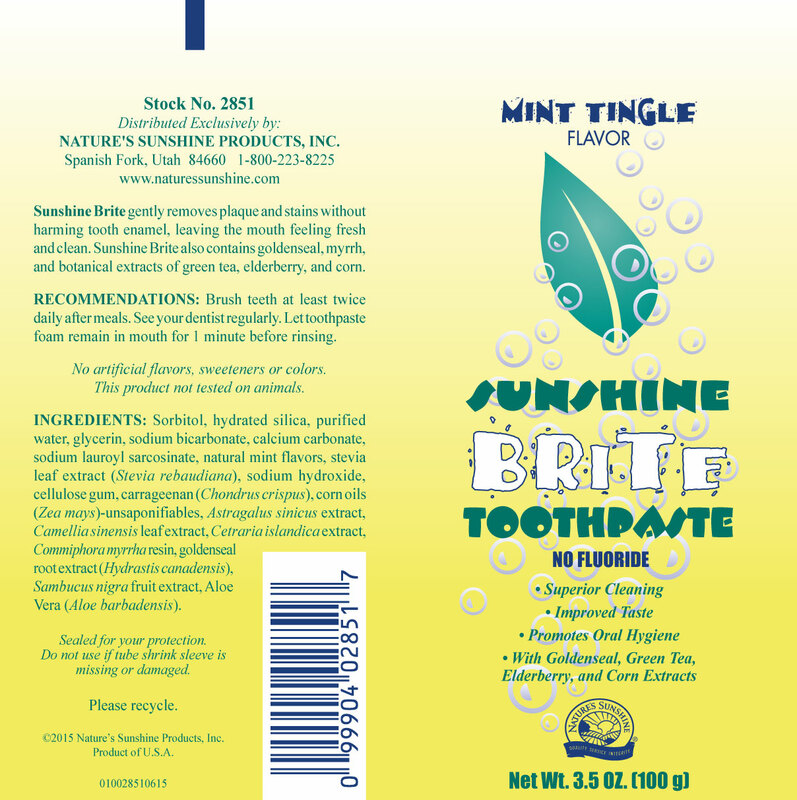 This naturally-mint flavored toothpaste is a natural way to keep teeth healthy and clean. Instructions: Brush teeth at least twice daily after meals. See your dentist regularly. For maximum gum health, let toothpaste foam remain in mouth for 1 minute before rinsing. Sorbitol, hydrated silica, deionized water, glycerin, sodium bicarbonate, calcium carbonate, sodium lauroyl sarcosinate, natural mint flavors, stevia (Stevia rebaudiana), sodium hydroxide solution, cellulose gum, carageenan (Chondrus crispus), corn (Zea mays) oils unsaponifiables, Astragalus sinicus extract, myrrh gum (Commiphora myrrha) resin, golden seal (Hydrastis canadensis) root extract, Iceland moss (Cetraria islandica) extract, green tea (Camellia sinensis) leaf extract, elderberry (Sambucus nigra) fruit extract, Aloe barbadensis.